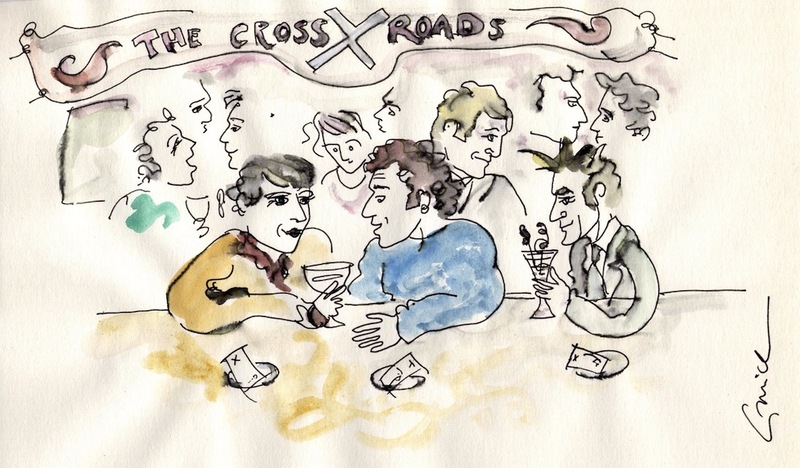 A management consultant, a designer and a cultural anthropologist go into a bar for a drink. I’ve had a long day helping my client be more efficient and more effective, says the management consultant. I need a drink. And give me a receipt so I can put it on expenses. The anthropologist sits down next to her. I need a drink too, he says, but while I’m here can I observe what you are doing and take some notes? The designer sits down next to them. I’ll invent my own drink, he says and gets busy creating an amazing concoction with the bartender. The time comes to pay the bill. The designer’s bill is €108. All those special ingredients and so many iterations. But it was worth it, he says. Drunkenly. The anthropologist’s bill is €7 because he kept having sips of everyone else’s drinks. But he’ll have a terrible hangover from mixing his drinks. The management consultant ends up with no bill. Why are your drinks free? ask the other two. Well, she says to the designer, I told the barkeeper how to roll out and make money out of the drink you invented. And to the anthropologist, she says, I told him to watch you going round talking to all the customers and find out why they really come here. Can you teach us how to do this? the designer and the anthropologist ask. Sure, says the management consultant, but the next round is on you. This story has the structure of a joke but behind these caricatures of three professions lies something more serious. I want to use this story as a way of reflecting on the origins of what we currently call service design and to raise some questions about where it might go next as a field, as a profession and as an emergent discipline. There are a number of competing stories about service design. One is that it’s a new interdiscipline, a mix of concepts, methods and tools from several different fields, brought together to address the challenges that organisations face as they try to improve and innovate in services. As an interdiscipline it is presented as a happy fusion of the best bits of management or business, design and technology, and the social sciences. In this version of service design, the incompatibilities between the values and worldviews of these different disciplines are smoothed away to produce a better user experience and increased business value. A second story about service design is that it is the underpinning of anything and everything. This story rests firstly on an expanded version of design usually credited to Herbert Simon (1996) who proposed that what people who want to change existing situations into preferred ones are doing is design, and that therefore design is the core of the professions from medicine to business to engineering. A second foundation is recent research in services marketing, for example Steve Vargo and Bob Lusch’s (2004) idea that service underpins all marketing transactions. If we combine these two ideas – everything is design and everything is service then – wow – service design is key to everything, and a theory of service design would have the status of a Theory of Everything. A third story about service design is that it is going to shift designers away from their traditional preoccupation with objects and their roles in cocreating the world of unsustainable mass consumption that we live in. In this story, service design redesigns design. The UK consultancy live|work’s early emphasis on using not owning, and work by Ezio Manzini and others inherits a longer tradition in design of critique and questioning. This version of service design places an emphasis on accountability, and asks who or what is service design serving? These are just three stories about service design – the Interdisciplinary story, Theory of Everything story, and the Redesigning Design story. There are, of course, others. 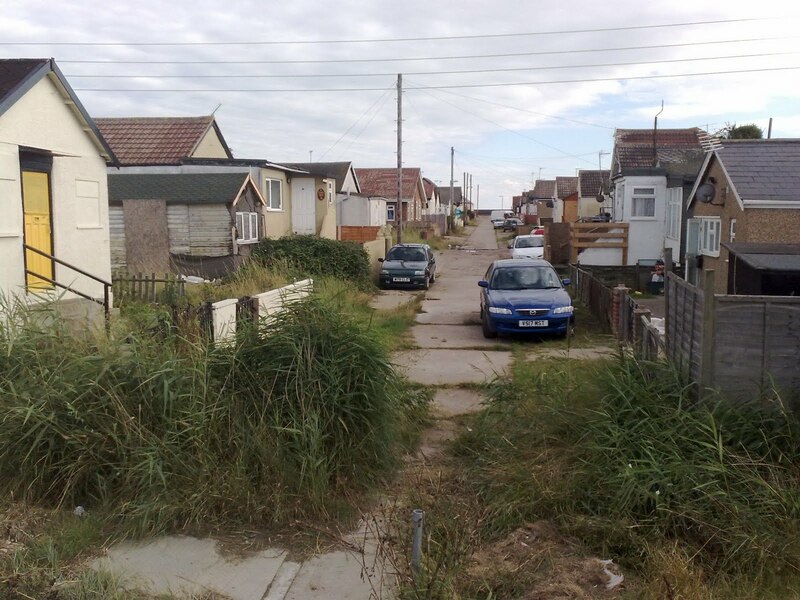 No single person involved in the communities that make up the thing we currently call service design can offer the authoritative account of what it is, where it has come from and where it is going because it is messy, emergent and communal. So what I will do today is offer some reflections on what is going on around us, and pose some questions which, I hope, have something to say about where service design goes next. In what follows I note several recent developments shaping the landscape in which professional service design will continue to develop. In each of them, something that looks rather like service design is going on, but is being done in a particular way, often not called service design, or done by people who think of themselves as designers of services. By examining these trajectories, I hope to suggest what steps professional service design might take next. If you read the market research reports on utilities, telecoms, banking and other service industries, there are two important trends. First, the idea that customer experience is a way for service providers to differentiate themselves in mature markets, and second, that organizations will continue to outsource what they see as non-core services. The big IT and management consultancies are ready with their offerings. CapGemini, for example, offers Customer Experience Transformation. This starts with customer insight, then involves developing the customer journey, market positioning, identifying opportunities, and measuring results. Sound familiar? This is the high level thinking that service design consultants want to do, but if management consultants do it, then the designers are left with crafting the touchpoints. But what does not appear here is what a design orientation brings to service design: repeated quick cycles of prototyping and testing propositions, let alone the traditions from Participatory Design of engaging end users in co-design. In a context in which human resources and accounting services can be outsourced, it is a challenge to argue that design is a core capability within an organization. However in reports on the UK design industry, for example, evidence of companies down-sizing their in-house teams in 2000, shifted a decade later to organizations investing in building in-house design teams (although their budgets fell) . Once shifted inside organizations, what is lost in this translation of design’s attentiveness to experiences and aesthetics, let alone its (sometimes) critical and holistic eye? The previous UK government, for example, invested in a knowledge base for pubic service managers to help them create better customer experiences . What happens when designerly concepts and methods are appropriated by clients and propagated by them for people who don’t think of themselves as designers? For branding agencies, service design is an obvious new territory for them to take ownership of. As custodians of large brands, they claim to understand and shape the nature of the relationship customers have with their client organizations. Their core activities – developing customer insights, deep market research, crafting propositions – are already a kind of design and their understanding of what connects people to brands, and their commercial relationships at high levels in organizations, mean they are well-placed to design services. Consultancy WolffOlins’ website , for example, proposes seeing brands as platforms, by which they mean asking brands to consider whether they give power to consumers, or create ways for customers to participate in the brand value and do that with many others, using network effects. But what is not evident here is the internal focus of service design. What service designers have learned from bitter experience, or from reading some management literature, is that the delivery of a designed customer experience often requires redesigning processes and employees’ roles and paying attention to organizational culture and design. In the new economic order, in which banks which were saved by public investment are able to go back to their ways of doing business without much censure, while public budgets are cut around the world, one thing is clear. We need new ways to understand what public services can do for us and our roles in shaping and contributing to the public sphere at a time when there is less money available to invest in them. In the UK, something that looks a bit like service design is happening, but coming from the new coalition government whose major activities since being voted in have been to plan severe budget cuts. This vision of a Big Society says “We want to give citizens, communities and local government the power and information they need to come together, solve the problems they face and build the Britain they want.” In this vision, people come together to work together because “we are all in it together”, according to Prime Minister David Cameron. It sounds like a perfect opportunity for service designers to step in and help these citizens and communities work together and use their professional skills to guide the public service professionals who have been squandering public money. But it raises questions about what really underlies ideas like David Cameron’s Big Society – and larger questions about the social worlds that service design can help create. If we acknowledge that design is not neutral, and that the unintended consequences of designs may not be known for some years, even decades, it becomes important that service design, with its aspirations to redesigning the social, begins to engage more deeply with social, cultural and political theories about who has power, and how, and why, and ask itself to who or what as a profession service designers should be accountable. The final trajectory I want to point to is the challenges posed by climate change which, despite serious research, seems to be a problem for the future, rather than a problem for now. At a recent conference on enterprise and the environment, for example, speakers repeatedly contrasted the role of governments in setting targets, creating incentives and regulating to produce new behaviours that have lower carbon impact, versus the role of businesses in modifying activities to produce new behaviours among consumers. What was missing at this conference was evidence of the emergence of service ventures creating new consumption practices outside of big business, which bypass the carrot-or-stick dualism which waits for governments to act, while the planet warms up. Experiments in transition towns, sharable services and other kinds of low-carbon enterprises involve a design orientation and an attentiveness to new ways of conceiving of value. An opportunity here is for designers of services to bring their skills and knowledge into configurations in which there is no obvious client, and in which they have to become designer-entrepreneurs in order to scale up their ideas. In each of these examples I have identified a trajectory – something that looks rather like service design but that is not necessarily thought of that way, presenting both challenges and opportunities. For each of them I have identified a question that I believe service design could find answers to. Combining them, I offer a particular way of conceiving of service design in the near future. 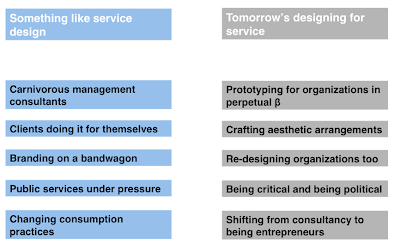 It draws on the underlying professions and disciplines that we find in service design today, but proposes a slightly different configuration for tomorrow. 1. While managerial service design can generate customer insights and visualise customer journeys today, tomorrow’s service design can emphasize a design orientation that is centrally concerned with iterative prototyping and testing. Conducting what Michael Schrage (forthcoming) calls design experiments, this service design is well-suited to futures in which organizations need to develop and maintain an open stance about what is the right thing to do next and need help in doing this. 2. While organizations are building in-house capabilities in service design and customer experience today, tomorrow’s service design can make sure that the aesthetics of service is important. Having resisted being confused with mere styling for a decade or more, designers have forgotten how to argue the case for aesthetics mattering but should revisit one of the core things that distinguishes their work from other professions (a point also made by Cameron Tonkinwise in a paper at the Design Thinking Research Symposium 8, Sydney, October 2010). 3. While branding and marketing agencies are moving into designing service experiences today, tomorrow’s service design can bring its ethnographic eye and management expertise into working inside organizations to help them redesign operations and resources in order to deliver services efficiently and effectively but without wasting opportunities for improvement and innovation. 4. While governments find ways to reform or cut public services and call it unleashing community engagement today, tomorrow’s service design can bring its anthropological and sociological expertise into asking critical questions about what kinds of social and public worlds are being created, by whom, and to what end. 5. While governments and big business make limp attempts to reduce carbon emissions through changed behaviours today, tomorrow’s service design can combine the design orientation with a deep understanding of practices to shift from consultancy to mobilise new entrepreneurial offerings. This is a modest proposal for a way of thinking about designing for service in the near future, which tries not to lose the particular contributions that different disciplines can make to designing for service and the important differences between them. However instead of an interdiscipline in which these differences are smoothed away, I propose a version of service design in which contestation is acknowledged and valued. To go back to the story about the management consultant, the designer and the anthropologist, this version of designing for service takes characteristics of each profession and emphasizes them. The designer insists on aesthetics, novelty and repeated experimentation. The anthropologist invests in careful, close study to understand structures and practices. And the management consultant finds ways to routinise, scale and make money. Each of these core activities has something to offer as the field engages with the challenges and opportunities I outlined above, but in unpredictable ways. Design’s traditional focus on aesthetics and novelty may breed disruption in ways that do not suit highly structured organizations. Management’s reductionism to efficiency and effectiveness may crush creativity and ignore material detail. Anthropology’s commitment to careful analysis of practices and structures may slow things down. Returning to the three stories about service design I introduce earlier, this future version of service design is not, then, an interdiscipline that smoothes away important differences between professions. Nor is it a Theory of Everything, on the basis that everything is designed or everything is service. It is closer to Redesigning Design because it rests on an understanding of professional design practice that is concerned with (re)making the world in which we live and which we continue to shape, whether we acknowledge it or not. Thought of this way, service design has some implications for design itself. 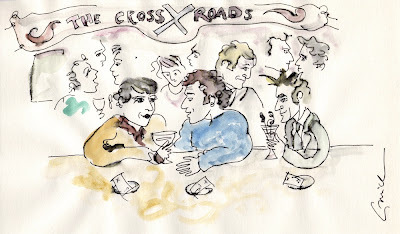 A management consultant, a designer and an anthropologist go into a bar for a drink. The designer is drunk on his creativity. The anthropologist has a hangover from mixing his drinks. The manager is making money. This is a picture of service design today. What we do want it to be tomorrow? Schrage, M. (forthcoming). Getting Beyond Ideas: The Future of Rapid Innovation. Wiley. Simon, Herbert. A. (1996). The Sciences of the Artificial (3rd ed.). Cambridge, MA: MIT Press. Vargo, S. & Lusch, R. (2004). Evolving to a New Dominant Logic in Marketing. Journal of Marketing, 68(1): 1-17. Thanks to Kate Blackmon, Simon Blyth, Duncan Fairfax, Engine, livework, Philip Hill, Alison Prendiville, Steve New, Daniela Sangiorgi, TaylorHaig and Cameron Tonkinwise for several conversations which shaped this piece. - how managers, entrepreneurs and designers go about what they do and to what effect. I started at Said with a background as a practitioner in interaction design and design management, and occasional player within contemporary art, already in dialogue with social science researchers in particular those associated with Science and Technology Studies (STS). My reason for moving to the school was to have access to scholarly communities for whom art and design practices were other, but who had (I hoped) some interesting knowledge about the contexts in which design takes place in organizations of different kinds and within social worlds more broadly. My various encounters with strands of social science and cultural research, mostly within organization and management studies, as well as reading in theories and histories of design has left me with a sense that designers need to read more and scrutinize the claims we make and hear. Similarly I became persuaded that the institutional practices and temporalities of academia were not an effective way for interesting and useful ideas to reach non-academics who might be able to digest them and weave them into their practices as managers or designers or activists. At a time when climate change and questions of global social justice are becoming even more pressing, this is not good enough. And responses such as discussions of Mode 2 knowledge, on the one hand, or multidisciplinary collaboration on the other, do not yet connect up with some of the individual or organizational actors who might be able to use some of the important ideas developed in universities and reach audiences and publics who can do things with them and to them. So I have begun thinking about how to bring these contexts together and what this might look like, without appealing to some notion of a bland interdisciplinarity, but rather understanding that knowledge is created, translated and changed in practice as a kind of social accomplishment that is iterative, ongoing and partial. The knowledge of the academy, or rather academies, is knowledge that has to be worked through in the context of workplaces, homes and within the public sphere and also at the level of identities and desires. This creates the opportunity for something I am tentatively calling a fieldstudio. Combining the playful, messy, iterative inquiries of the art or design studio with the unboundedness of the field and the attentiveness of the ethnographer, the fieldstudio is a way of trying out change-making that takes research and action equally seriously. Somewhere between a consultancy, a knowledge-transfer hub (in the vernacular of the research funders), or a think-and-make-tank, the fieldstudio inquires into things that matter and makes some matter more than others. It is necessarily collaborative and relational in its productions and enactments. It may be sometimes confidential but in other senses is always public. It understands that research is creative and creativity requires research. It is starting around now. Get in touch if you would like to be involved.